This Jon Boat To Bass Boat Book! Everything you need to convert your jon boat is in this book! Download your free preview ebook and see the drawings, schematics, and pictures! Have you ever made $150 an hour before? That's what this amounts to! 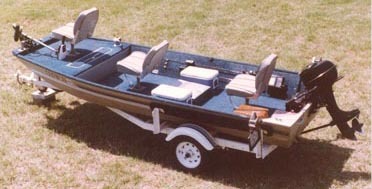 Converting a jon boat to a custom bass boat like the ones you see above will save you so much that it amounts to $150 an hour! Free preview ebook! Get your free preview ebook and see how easy this ebook is to use. It works just like a website! You'll also see that you get all the modified graphics, schematic drawings, and shortcuts you need to convert your boat into a beautiful bass boat customized to YOUR tastes! It takes less than one minute! 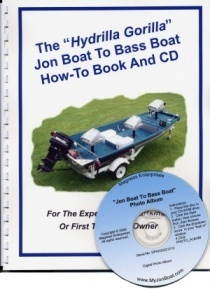 EVERYTHING about how to convert your jon boat into a beautiful bass boat AND MUCH MORE is in the "Jon Boat To Bass Boat" book and it is available as an eBook download, an eBook on CD, or printed book with a photo album/CD. FREE ebook download with printed book or CD version: You can get started right now because the printed book and CD ebook includes a free download right now of the complete "Jon Boat To Bass Boat" ebook! The info is on the order page. This book pays for itself! The fact is that its easy to find a very nice jon boat, motor, and trailer for a super low price in your local paper, or on the web. Doing this conversion with the "Jon Boat To Bass Boat" book not only saves you a pile of money but you'll never lose money because you can always sell a converted jon boat for WAY MORE than you have invested in it! You can view enlarged photos of the jon boat in the upper left corner of this page. Pics from 20 years ago to now! What You Are Shown In This Book! HOW TO REMOVE YOUR BENCH SEATS: How to easily remove your factory aluminum jon boat seats with no loss of structural integrity to your aluminum jon boat. 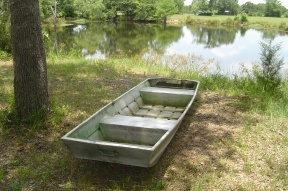 We removed our bench seats in 1985 (the boat pictured below)! YOUR FRONT DECK: How to set up the FRONT deck of your jon boat with a comfortable raised pedestal seat and have everything you need within reach. YOUR REAR DECK: How to set up a REAR deck with a raised pedestal seat for your jon boat EVEN if your boat motor has tiller steering. EXTRA STORAGE: How to set up plenty of convenient out-of-the-way storage in your jon boat. YOUR TROLL MOTOR BATTERY USAGE: How to set up your troll motor for maximum battery efficiency. How NOT to use more of the battery's available power than is necessary. YOUR TROLL MOTOR SETUP: Bow mounted troll motor control panel how-to: (one secret: rotate the head of your troll-motor 180 degrees). CARPET: How to easily install carpet in your used jon boat that looks like a professional job. 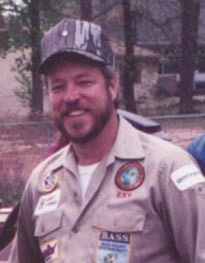 PAINTING SECRETS: Painting secrets for the aluminum jon boat and galvanized jon boat trailers. (Tip: there's a BIG difference in new and old galvanize). YOUR BATTERY POWER: Get maximum power efficiency from your battery! Wiring how-to for your jon boat troll-motor, lights, accessories, live-well, and more. EASY CLEAN-UP: How to set up REMOVABLE FLOOR PANELS with raised pedestal seats front and rear for EASY maintenance and cleaning of your jon boat. You can remove the drain plug and wash your beautiful jon boat inside and out at the car wash! 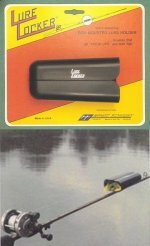 YOUR LIVE-WELL: A totally unique live-well system for your jon boat that makes keeping fish & bait alive EASY. YOUR TRAILER: Instructions for the best set up of your jon boat trailer. YOUR boat could easily be featured in the book or on this website. Take lots of photos during your project and email them to us! Same Boat - Over 20 Years Later! Are There Any "Extras" In This Ebook?….You Bet! Fourteen Of The Best Jon Boat Conversions Ever Are Detailed In This Book! These are the "Best Of The Best" conversions that have been done to date. See conversion details and shortcuts you won't find anywhere! Visit our jon boat "Hall-Of-Fame" to see lots of incredible conversions! A JON BOAT COVER: How to make a convenient jon boat cover for your boat. This jon boat cover is portable and easy to store! A JON BOAT PORTABLE LAUNCH: A simple and effective launch that will fit inside your boat, is easy to use, and is portable! WIRING IS MADE EASY for your boat, camper, tractor, etc., with the terminal blocks that are available in the book and on this site. You'll always have easy access to your battery power. TIPS: Two pages of tips and shortcuts! Hot Tip: Coat the INside of your boat with pickup truck bed liner! It makes a great seal for rivets and helps to deaden sounds. A good one is Duplicolor Automotive bed liner. It comes in spray, roll or brush on. It cleans up with lacquer thinner and it is dynamite stuff! YOU'LL GET THE "BASSIN' BUDDIES" humorous greeting cards. Reprintable humorous greeting cards for fishermen you can share from now on! I PAY SHIPPING on the printed book which is fifty-four pages of instructions and schematic drawings PLUS it includes a CD packed with photos, REAR DECK "how-to" info, instructions for a portable jon boat cover for your bass boat & much more! All Our Books Are Unconditionally Guaranteed Or Your Money Back! Seen On A Jon Boat Before! 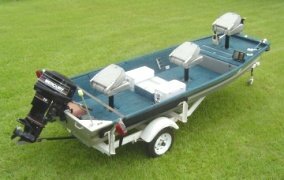 This successful jon boat design is the result of many jon boat conversions and has proven to be the best all-around design in terms of cost and flexibility (for different boats). This design is the most do-able and it produces a dependable and absolutely beautiful jon boat that will turn heads at the lake from now on! Browse through the free ebook previews and our pages about the different versions of the book. Decide if you'd like the printed book with the Photo Album/CD (includes the free ebook download now), the ebook on CD, or the ebook download. This book is loaded with instructions, modified graphics, and detailed schematic drawings to make the conversion of your jon boat easy! into a beautiful custom fishing rig! P.S...This download ebook is THIRTY THREE MEGABYTES. 1). 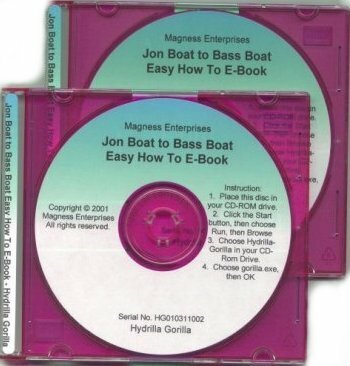 The complete "Jon Boat To Bass Boat" ebook. 2). The "Bassin' Buddies" Humorous Greeting Card Program (inside the ebook!). 3). "The Amazing Benefits Of Emu Oil" ebook (also, inside the ebook!). 4). Two pages of tips and shortcuts along with info for a portable boat cover, a portable jon boat launch, & more! 5). Fourteen Of The Best Jon Boat Conversions Ever Are Detailed In This Book! These are the "Best Of The Best" conversions that have been done to date. See conversion details and shortcuts you won't find anywhere! Visit our jon boat "Hall-Of-Fame" to see lots of incredible conversions! 6). All 15 of the extras listed above! With my guarantee, you cannot lose! All Our Books Are Unconditionally Guaranteed Or Your Money Back! Again, during your conversion you save about a thousand dollars a day versus buying a factory rig. All for only $19.95! Phone any questions to my toll-free number 1-877-968-6878 till 9:00 p.m. CST. Our Shopping Cart Is Fast And Easy!